I am curious about something that PCWorld didn't ask and that neither Adam or Josh answered, I also underlined and bolded something important that Adam said in the quote regarding modding. Will models (Characters, Monsters) be something that could be moddable? And what about textures? Furthermore, is there a simpler way that could allow for more maps to be added? Josh mentions that environments are tough and complicated and time-consuming for Obsidian, but is there a simpler way to make them? I mean, obviously hobbyists or fans do not need to be able to make state of the art top-notch areas like Obsidian are making. There are certain elements of it that I think are probably going to be easier to mod than others. Environments are probably going to be pretty tough to author on your own, because even for us they’re complicated, they’re time-consuming to build, they’re very hi-res, they involve a number of special passes and things. Other things I think are friendlier to modification, but we’ll have to see. AB: It depends...we’re still investigating how much...since we’re using Unity there’s a lot of things we need to work around for modability, but we want to do everything we can do for the mod community. We’ll be really open, if they have questions. It’s nice because with publishers a lot of times they don’t like us talking about the technology and ways of doing things, but people can ask us on the forums and we can answer them. AB: Or an item pack. Adjust the rules system a little bit. JS: Some of that stuff we’re externalizing. Weapons, some of the racial modifiers, we’re putting them in separate things so some of that stuff will be easier to modify than others. A child loves to play LEGO, but that doesn't mean that the child has any idea what they are doing with it or makes something super advanced with it. So when Josh says "because even for us they're complicated" I'm surprised that he even compares. It's like if an adult LEGO master who can make tons of stuff and has the imagination and skills to make super cool LEGO stuff tells a child "Sorry little child, but this LEGO business is just too difficult for you". Again, is there a simpler way for environments to be created and added into the game from a fan- or hobbyist perspective? For instance, let's look at WarCraft II (which has a great map-maker tool), it is pretty advanced too and that's not what I am asking for but there is a feature in the Map Editor which is great. Triggers that you can lay out, make an area impassable "Character can not pass through this area because this Trigger says so" kind of thing. Invisible wall stuff. I'll explain below. A) Background picture, a simple picture you could draw in Photoshop perhaps. B) Triggers and borders or whatnot, make that mountain you painted be layed out with an area with triggers which says "Can't pass through this area" or something. C) Props. I know Obsidian is using them so why not be able to use them as a hobbyist. 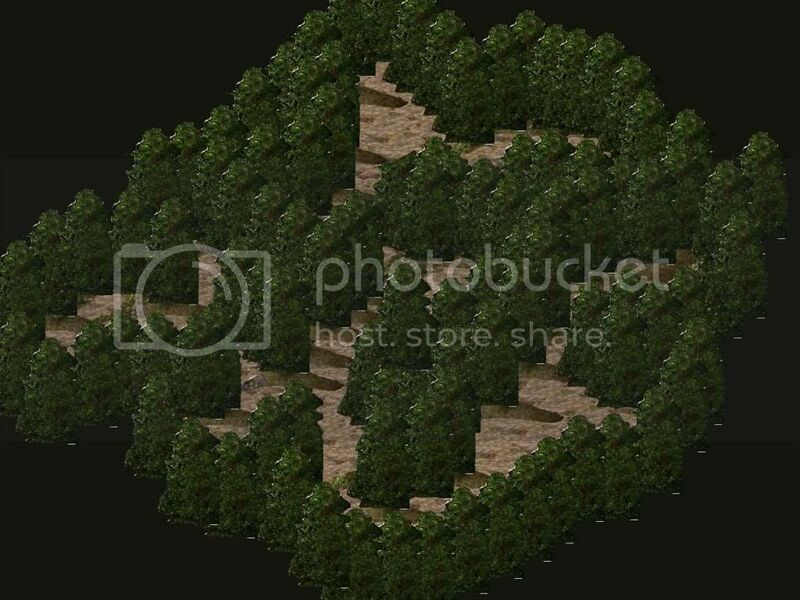 Are there simpler ways to make maps that might not be necessarily up to par with the quality of Obsidians maps but at least allowing more maps to be generated and added..? Imported or whatnot. For instance, could it be simpler for fans and hobbyists to be able to export an existing map and modify it, then import it again? It's not meant to be pretty, it's just concepts on concepts. Question of the thread: How would a map making method be handled in the most simplistic way? Edited by Osvir, 12 December 2013 - 08:29 AM. The first answer is "Yes, of course you'll be able to do this -- after all, people can do this for BG1 / BG2 and so forth -- unless a game is a console release, it is almost always possible to mod the game". The second answer is "...But Obsidian can't release the tools that THEY used to do it, because these tools are plug-ins for tools that cost hundreds or thousands of dollars per instance (e.g. "3DMax"), and even they spent the development time to create 'crippled' versions of these tools [that could only create environments for PE, for example -- see NWN 1 and 2) they would still have to pay significant license fees to the vendors of these products before they could distribute them for free." In addition, the tools aren't built to the same standard as the game itself -- if it randomly crashes every 6 hours, or only works with one particular 3d accelerator, that isn't an issue, because the only people who are going to use it are a few dozen area designers and the like. The Q&A of putting these tools into something that is stable enough to release is not insignificant. Given the small budget for this title, the odds are very high that what Obsidian will do is release file format information/ details of what commercial products that they used / *perhaps* the plug-ins they developed for these tools and leave it up to the fan community to build the actual applications that can be used by non-technical fans to mod the game. This is pretty standard for modding communities for numerous titles, most notably the Infinity Engine games. Another option would be to hold a separate kickstarter /just/ for mod tools -- but the target would likely be $500k - $1M, and it seems unlikely that such a number is achievable unless the game is /really/ popular. I couldn't agree more, even if the tools aren't perfect, it will always beat releasing nothing. And since we're talking mod support, anything that is released is optional for players, meaning if they don't like it, they don't need to get it. "Sorry little child, but this LEGO business is just too difficult for you". that's a really bad comparison. to create a map you have to create it in a 3d app first because you're in dire need of special render outputs like z-depth and normal map. geting all this stuff done ain't that difficult but it's a show-stopper for the majority, and by no means comparable to very basic things like playing with lego where only your artistic level defines the outcome. you have to have advanced knowledge of the program you're working with before you can even start with creativity. so while it's hard to do the first steps i hope that obsidian doesn't think it's impossible for the community to produce such maps. as long as they give us the correct camera angles blender's everything you'll need. regarding models there shouldn't be any real problems too. unity handles fbx and i doubt that obsidian used any third party implementation to process other file types. we're talking about pre-rendered pictures as backgrounds. while you can spend thousands of dollars for professional apps you could also simply use blender to create the needed render outputs. it's totally free and in no way behind the expensive tools. Edited by Semper, 12 December 2013 - 09:31 AM. So, basically what I mean (the meaning between the words) is that Obsidian have these more advanced methods and advanced tools that they use for creating maps and Josh says that their method is complicated even for them. Which I think is an odd statement of Josh to make, because it really feels like "Hey guys, yeah, we're doing this in a way that's difficult even for us so we don't know if it is possible for you". It's not encouraging, it's the opposite of it. Which is why I used LEGO as an example, because LEGO is one of the simplest building toys that exist. Obsidian is using some advanced LEGO, and I'm curious if it's possible to create some sort of "simple" LEGO. Simplicity is the theme of this thread. Furthermore, another pass at "creating more areas" could be a sort of Tutorial video made by Obsidian wherein they go through all the passes they make to, let's say something simple, create a "Template Room". No matter how advanced it is, if there'd be a tutorial video, maybe it'd be easier for more people to understand how to make more maps and/or areas. Osvir, you are interpreting the message almost correctly -- what he is saying is that the average user, on day 1, won't be able to mod the game. However, there are likely to be a population of above average users who, with Obsidian's active assistance, will be able to write tools to enable a larger audience to mod the game. Given that this happens even when the developers don't provide assistance (and, in some cases, actually make it harder to do -- say, by encrypting files), this is a fairly good assumption. And there is at least a hope that Obsidian will release the source code for the tools that they used to make the game -- this has never happened before, due to IP concerns, but given the lack of a publisher for this game it is at least possible. Obviously, but it won't be that simple -- as you pointed out, creating walkmeshes isn't feasible without non-free tools. But, in any case, my point isn't that there aren't free tools available that could be used to create mods, just that this isn't how Obsidian is doing it, and that it is unreasonable to expect them to research and document a mechanism for creating (say) area maps that they aren't going to use. That's OK -- as long as they provide the details of the file formats and so forth, I'm quite confident that the community will put together the required documentation within 3-4 months -- assuming, of course, that the game is good enough to create a demand. Can you create walkmeshes in Unity? If that is possible, wouldn't it in theory then be possible to paint a map (or google some picture or whatever), put it in Unity and add walk meshes into it and then importing it into Eternity somehow? Honestly, I just don't want environment areas and moddability of it to be a thing that gets thrown away because someone says "it's complicated". I wanna design levels! Could, you, Obsidian (The Company) create a "Tutorial" (Documentation) of an Area that you are creating for Eternity (The Game) and go through all the passes that you do to get it to completion for Eternity? Like I said in the previous post, it'd at least make it more understandable what is needed to create an area and possibly author one (and not necessarily on your own). It'd also give an incentive to learn. Obviously, but it won't be that simple -- as you pointed out, creating walkmeshes isn't feasible without non-free tools. That's OK -- as long as they provide the details of the file formats and so forth, I'm quite confident that the community will put together the required documentation within 3-4 months -- assuming, of course, that the game is good enough to create a demand. as you said it doesn't matter as long as obsidian provides insight into the used formats. we don't know if they used imported meshes or unity's option to bake navmeshes and to create collision meshes. in the end both meshes are among the easier ones to handle if the needed flags are known. If the game is successful enough and happens to have fans who can do these things, modding tools will be made, even if Obsidian doesn't make them. For BG&Co., the community had to figure out these things on its own, but it eventually happened. For PE, there's much more contact to the developers, so information like the IESDP can be gathered quicker and more reliable. Nonetheless, depending on how it's implemented, modding some things can get complicated even with the tools available. The area creation tools for BG were not really good (at least a few years back; haven't checked for a while), but the whole process was tedious. And the main issue was finding people who could do graphics or photomanipulation good enough to create area graphics that were of similar quality to the original game art. Sometimes it's not that the developers want to make it hard, some things just aren't that easy all by themselves. 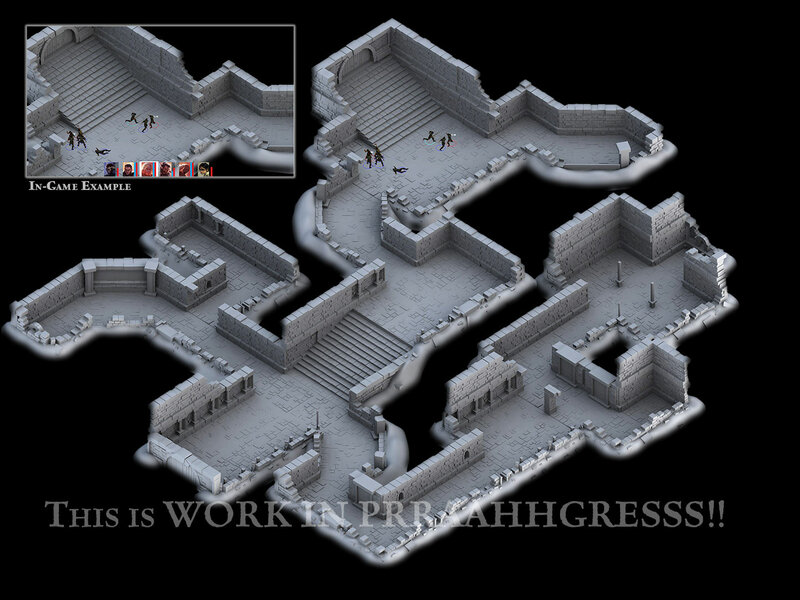 Divinity: OS is a fully 3d game -- PE has 2d bitmapped backgrounds. While 2d backgrounds look better (generally speaking) than fully 3d worlds, it makes modding much, much, more difficult. And Divinity: OS was also mostly done when they launched their Kickstarter. They were "only" doing it to get more money for production to add polish. Look at their Kickstarter videos and you will see that they had an incredible amount of stuff up and running. They are also using an in-house engine and toolset, so there are fewer outside restrictions with sharing their stuff. If the devs say the tools are too complicated, they are. Do you actually think the in-game Portal 2 Level Editor is how they made the game? No. Someone spent a great deal of time (and money) making it that easy. It amazes me that people always complain that this or that dev kit is too hard. Well, you asked for mod tools. How much asset reuse and procedural content is there? It's possible that the Divinity Original Sin devs made an editor for themselves, where as Obsidian wouldn't be able to with the way their maps are made. They also started working on Divinity Original Sin in 2010, funding most of the development themselves, that's an extra year of development, you don't even know the budget of Divinity Original Sin. I think before people start taking something Josh said in an interview as gospel they really need to look for more information. You can't just say because Josh said things are hard that they are too hard for fans, how do you know that a fan isn't actually a better programmer than anyone at Obsidian for example? As much I like Obsidians work, the people who work there are not the best in the world at everything. What if all these passes are unnecessary to an area actually working but just add effects, lighting etc that maybe can be gotten around some other way? Need information. You start simple and work forward, thats how most modding begins. If your first area is an unlit black surface with no doors who cares, if you can get it working in the game you have taken a step forward. Similar difficulty was talked about when people started modding the IE games but over time modders developed tools to make what seemed extremely difficult much more user friendly. Perhaps what Obsidian don't have is the time and the money to invest in developing all these tools, modders on the other hand have as much time as they are willing to commit, even if it takes years. The IE games have proven that. Also Josh no doubt underestimates some of the people who are fans of the IE games and are watching PE if not taking part on the forums. People who grew up with RPGs, the IE games and are now 3d Modelers, Programmers etc in their own right. Even if Obsidian are willing to provide information but can't provide tools perhaps they would be willing to give the modding community a head start by providing that template area mentioned above as a Unity package. You would assume Obsidian will have some form of Patcher for the game right? Well there is the beginning of a mod installer too. I'm not trying to belittle what Josh said I'm just saying that most of the time where there is a will to do something, there is usually a way. It's funny that most of the people that creates and participate in modding topics are people who have neither knowledge nor skills of actual modding (and really no one should call using editors, given by devs, modding). Yet the same ignorant people will claim they know what devs will do, what modders will do and how it's all super easy because they think it is. Are you sure you're not trying to describe those who can reverse engineer binaries and data structures? That would probably qualify as an advanced form of modding. Peon level modders can only use simple tools that someone else created, but sometimes the tools created are not always from devs. Divinity Original Sin was already supposed to come out. Larian used the Kickstarter to get a bigger budget to make more content. https://www.kickstar...ty-original-sin check their Kickstarter pitch video again for reference. Sure, D:OS had a smaller Kickstarter budget, but they also already had a budget for the game before the Kickstarter. Anyway ı hope they are felixable when the game comes out about this modding issue.The content could grow exponentioally if they did it actually and there comes the immortality of a game.